Today, we reveal numbers 15-19. 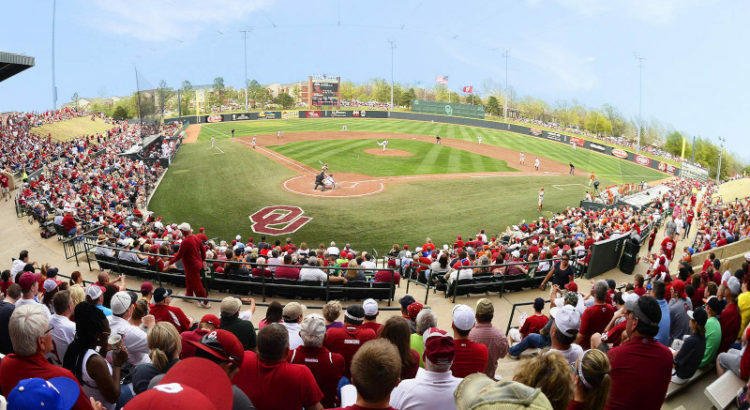 Oklahoma – Oklahoma won the 1994 National Championship and has visited Omaha six times. Much of the Sooners success came prior to the Super Regional Era making the postseason 17 times in the 23 years from 1975 – 1998. 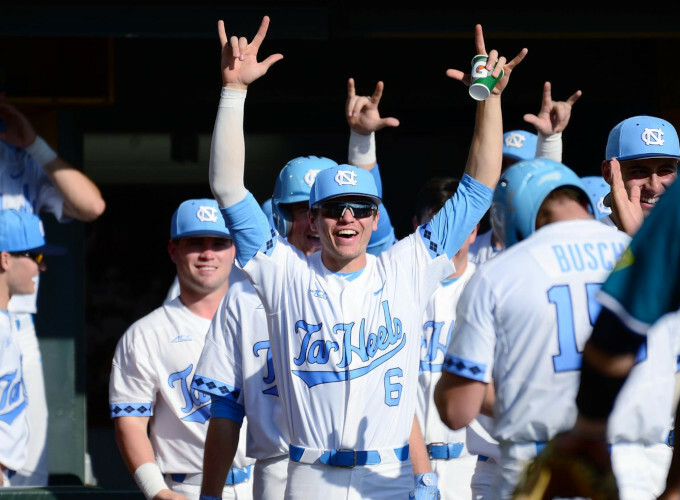 North Carolina – No national championships in nine College World Series appearances since 1975. Eight Super Regionals since 1999 and 29 postseason invites places the Tar Heels firmly in the No. 16 spot of the Top 50 College Baseball Programs since 1975. 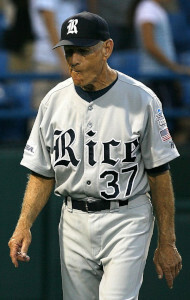 Rice – The Wayne Graham era in Houston produce the Owls’ greatest success culminating in the 2003 championship. Seven visits to Omaha, 10 Super Regionals and 23 tournament appearances all coming under Graham make for big shoes to fill for Matt Bragga this season. 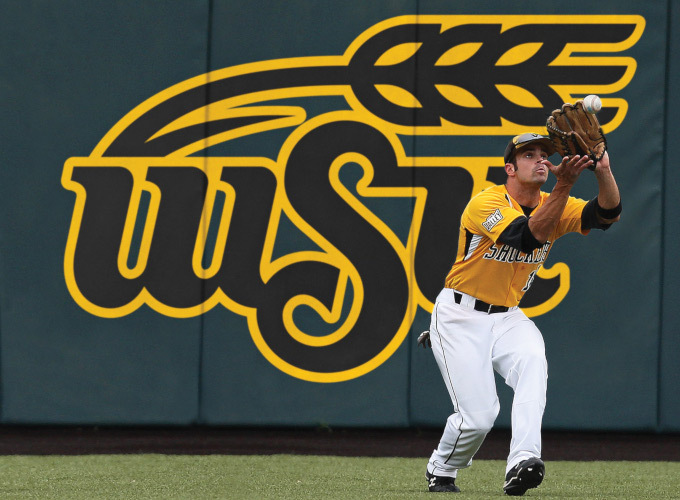 Wichita State – A national championship in 1989, three runner-ups and seven CWS appearances all before the tournament field expanded to 64? Nice resume for the Shockers who continued to have success into the Super Regional Era. Darren Dreifort also won the Golden Spikes Award in 1993. The Shockers would have ranked higher but WSU vacated 30 victories from the 2012 season and 39 from 2013 for players receiving “impermissible benefits”. Oregon State – Although our scoring methodology scored the Beavers tied with Oklahoma, we give the slight nod to Oregon State for winning three national championships and being the reigning national champions. If the Beavers advance to the Super Regionals, it’s a safe bet they will reach the College World Series. 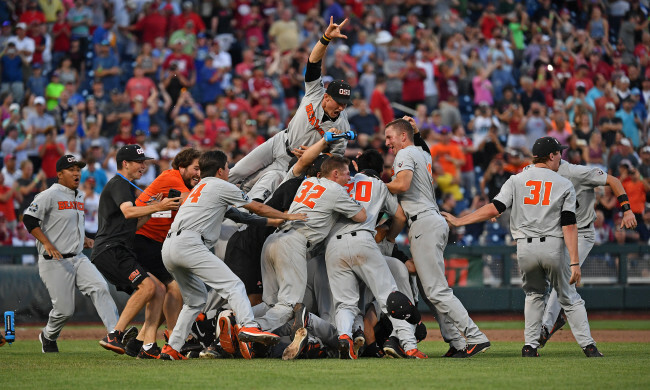 The Beavers seven Super Regionals resulted in a trip to Omaha six times.